Britain leads the way in Europe – but not in a good way. It has a worse record on press freedom than all other European nation states except Italy, trailing others such as Norway, Sweden and the Netherlands. 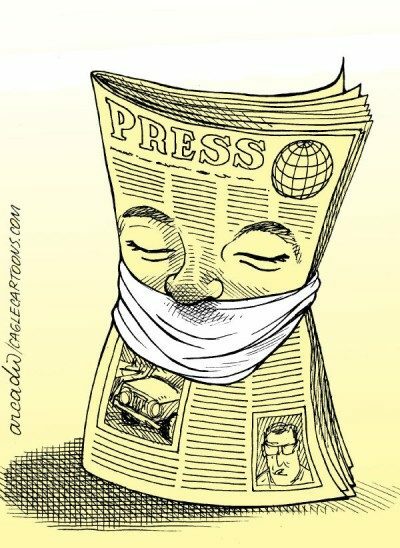 In the 2018 World Press Freedom Index, an annual report, by Reporters Without Borders (RSF), Britain was judged to have been in 40th place. This compared to Norway and Sweden at the top of the index, with the UK coming in below Trinidad and Tobago and only just ahead of Taiwan. The United States is also trailing, to the dismay of American media organisations, coming in at 45 on the list (with North Korea in bottom place, at 180). It points, in particular, to online threats against journalists, many of them women, proposed changes to the Official Secrets Act, repeated attempts to impose state-backed press regulation – and a legal action by the law firm, Appleby, against the Guardian and the BBC, for work on the Paradise Papers. The UK is the only place where such proceedings have started in the wake of international revelations over tax avoidance. The UK’s poor ranking has drawn reactions from freedom of expression organisations. So what does this mean for us, as journalists working in the public interest? As Index on Censorship says, about its project to map media freedom, journalists and media workers are confronting relentless pressure simply for doing their job. A straw poll of journalists in the Bureau itself demonstrates that restrictions on press freedom have impacted on work and reduced our capacity to tell stories that matter, both in the UK and abroad. My own work has been affected, in the UK and in Iran, where family members live. One of my books, Hear My Cry, on “honour” violence affecting a British-Yemen citizen, has had to be published elsewhere in the EU, as potential publishers here were concerned about the weak safeguards for public interest journalism here under the Defamation Act. When I visited family in Iran in 2007, under the Ahmadinejad regime, I travelled to the country on a tourist visa, rather than a journalist visa, as I knew that I could then meet family members and friends without a minder present. As my Iranian birth father, like many other naval officers, had been imprisoned after the Revolution (pictured, but blurred for safety, below) it would have been risky for him to meet me if I was under constant surveillance. When I returned to the UK, I did write and broadcast on my experiences in Iran. But I am aware that it would be problematic to go back now, as the current regime targets journalists – and their families, if they have Iranian connections. I would be putting myself and my Iranian birth family at risk. Iran was ranked at 164 on this year’s press freedom list. The Bureau itself, with other organisations supporting freedom of expression, currently has a case at the European Court of Human Rights, about which our managing editor, Rachel Oldroyd,has written. The Bureau brought the case in 2014, with the aim of forcing the government to provide adequate protections and safeguards for journalists’ privileged communications. Without these protections, we argued, the government’s actions were a direct threat to a free press and indirectly would have a chilling effect on whistleblowers seeking to expose wrongdoing. In November 2017 the arguments were made in a rare aural hearing at the court, combined with two other cases brought by a group of human rights organisations including Amnesty International, Privacy International and Liberty. The case is currently being considered. Israel was ranked at 87 on this year’s list and Palestine at 134. Meirion Jones, our investigations editor, has also encountered difficulties in his long career in journalism. Just this week one of the British fraudsters who sold fake bomb detectors to Iraq was given two more years prison time under proceeds of crime legislation because he wouldn’t surrender some of the millions of pounds he made from his crime. The fraud, which probably cost the lives of 2,000 Iraqis who were blown up after the detectors failed to detect explosives, was uncovered by a team led by the Bureau’s Investigations Editor Meirion Jones when he was at BBC Newsnight (pictured above with a fake detector). But Jones believes a major reason that the fraudsters set up business in the UK was because the libel laws made it so difficult to expose them: “One of the bogus bomb detector makers hired extremely expensive lawyers to threaten to sue us for libel if we said the detectors were fake”, he said. Our Afghan expert, Payenda Sargand, faced an uncomfortable experience in Dubai. The United Arab Emirates is 128 on the World Ranking. Another Bureau journalist, whose experience is anonymised to protect the source, had problems in Vietnam (ranked this year at 175). Most chillingly, of course, is the fact that journalists die every year because of their work in war-zones, unmasking corruption and speaking truth to power, most recently the Cypriot journalist, Daphne Caruana Galizia. Journalism is not a crime – but reading the World Press Freedom Index this year, you would be forgiven for thinking that it is all too often seen as one. Katharine Quarmby has years of experience as a journalist and writer, specialising in investigative and campaigning journalism.